"I like my stripes like I like my shirts: smart. These pure cotton numbers are lightweight and cool, which makes looking smart in the Summer even easier." "Light and breathable poplin, two-ply 100s cotton, and traditional British Bengal stripes make this shirt a triple whammy for distinguished dress." Shirt looks awesome. The quality is second to none. Was worried design would be more feminine than I wanted. It's a nice, dark pink which is totally fine. Very happy with it. Fabulous fit - goes perfectly with my navy blazer & stone coloured chino's & blue suede brogues. All purchased from Charles Tyrwhitt. The quality is Brilliant! 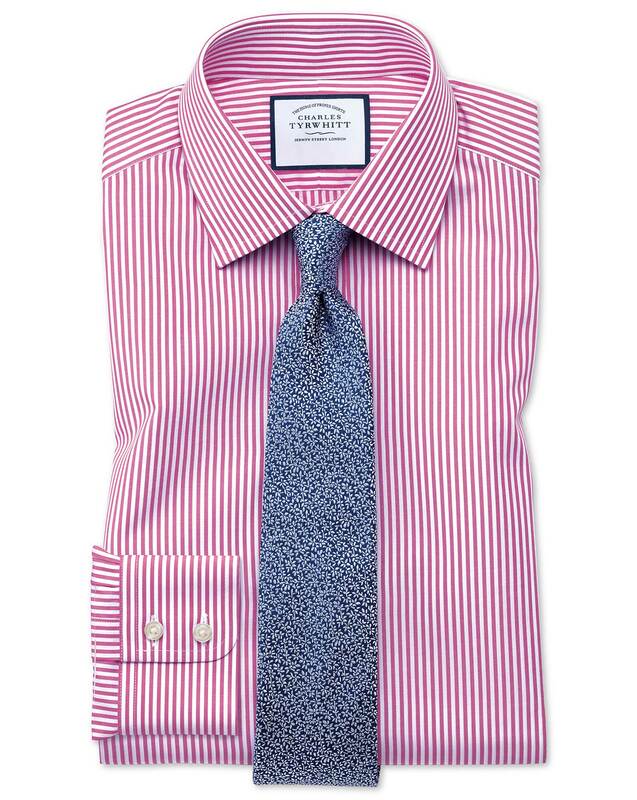 The fact that Charles Tyrwhitt will adjust shirts to fit, means we never look anywhere else!